Starting your own cleaning business is a good way to work a flexible schedule and make a decent living, without a large outlay for supplies and equipment. This is a guide about starting a cleaning business. Question: Am I Charging Enough for a Cleaning Job? Have been in Alabama 2 years now from London, England and have been cleaning houses. I do windows, walls, housework and takes me 4 hours. I move things around to clean, they have 7 kids, and I really work hard nonstop. I get $40 dollars for the 4 hours. Their friends want their houses cleaned too and they all live in big houses. I don't think they are paying me enough. I don't know what to do about asking for more money. They will not have anyone else to clean their place, they say I do a GREAT job and I do. I clean everything that needs cleaning. I have undercut myself somewhere and being new to America, my hubby think I'm not being paid enough. What do you think? Thank you. Call around to some of the professional cleaning companies lime Merry Maids, etc. and get a estimate and go from there. Hope this helps. I agree with Tammie.... Make a few phone calls to see what agencies charge and since you are the agency you will get all the money. I used to hem garments and sleeves for people. Since I didn't really didn't need the money charges ran from zero (for friends) to very little. My husband insisted that since there was a lot of time and excellent work involved I should make at least minimum wage. I called a couple of places and got their prices and when I told people the prices my hemming business was in the toilet. I went back to making barbie doll clothes. You should raise your prices but be sure to run an ad in your local paper because you probably will loose some customers. Here in Missouri, I charge $20 an hour and it sounds like you do a better job! I think $20-30 is the norm here, depending on the work. I believe you should definitely ask for more and certainly ask for at least $20 when taking on new jobs. That ticks me off that someone would do that to you; they're ripping you off. I would never do that house for under $75. If they refuse to pay no more than $40, let them get someone else. One person may be faster that another so setting a price by the hour I would not consider. Good luck and RAISE YOUR PRICE. No wonder her friends want you to clean for them. I would change the price gradually. Explain to them what the going rates are and also that gas prices have gone way up. Tell them that you need to start charging atleast 50 for a 4 hour visit. If they really like you the way they say, they can't expect for you to do it for nothing. I would run an add in the shopper's guide or want adds to advertise. When quoting the new houses, quote them the new price. If there house is same size as the house you're talking about, at 10 or 15 to the total price. THis way it won't sound too extreme to them and you still get the extra money. If the house is bigger, I would add the amount to accommodate. In this case, size does matter-especially if they have a lot of stuff to dust around. If you get 1 or 2 jobs that referred by the customer you are doing, offer to keep their rate the same or not raising their price alot for bringing you the business. Or you can knock a certain percentage off each time they refer you and you clean a home..that's a good incentive for them. Nina, will you please come clean my house in Texas for $40 for 4 hours? I'm paying Merry Maids $130 for 2 people to spend about an hour doing a halfway job of it. Seriously, you have to charge more. You're a businesswoman, and you're barely paying yourself more than minimum wage! Rates might be slightly less if you're rural rather than in a city (like Birmingham), but either way, you need to at least double your fee. For your existing customers, you can cite gas prices (and supply prices if you use your own) as an excuse and maybe phase in the new prices gradually to soften the blow. But any new customers should be charged double what you now get. You are absolutely NOT charging enough! I know that prices vary geographically, but I would not do that big of a house and spend that much time for only $40. If it takes 4 hours, you should get no less than $60. Personally, I don't charge by the hour. I charge by the job. My clients like it that way. They know how much it is going to cost every time, no matter how long it takes. About 10 years ago I paid $100 for a cleaning crew of 2 to clean my 3 br 2bath. They worked approx 2-3 hrs once every other week. So you see, you definitely need to raise your rates for this day and time. You're not being paid your worth! Your time is as valuable as your skills are. Nina, you are working for less than half of what you should be making! We had a wonderful lady who came every other week and we paid her $80.00 for about 4 hours of hard work. Even then, I felt that we should pay her more, but she insisted that it was enough. We moved away, and I can't get anyone who does it like Pam did! I think that you should charge at least $25.00 per hour for any new customers. Good help is hard to find! Don't cheat yourself! Ask your current client to write a letter of recomendation for you; your new price might be as high as $30-35 per hour, but for "friends and family" of your current client, you'll discount down to 25.00 or so per hour. Boost your wage to at least 20.00 per hour for your current folks..they won't turn you down! With the price of gas, etc. you need to make money, not sell yourself short! Believe that you are worth it! You ARE worth it, and you are smart enough NOT to let people run all over you and take advantage of you! You GO, girl! Yes, Nina, you need to ask for more money. That may not be easy, but just let them hire Merry Maids, Molly Maids or whomever and they'll realize just how much you're underpaid. My mother uses one of those I mentioned and I think she pays $86. for 2 ladies that work about 1-1/2 hours. Very few times is she really satisfied with their work. Nina, I don't care where you work, it's always hard asking for a raise. Nina, I agree that for the thorough job you do, you're not charging enough. Why don't you make up a Memo saying that effective on such and such a date your prices are going up to the new price. When you finish cleaning each house, leave the Memo on the kitchen counter. Hello Nina~ Oh man, with the cost of gasoline you sure are undercutting yourself. I agree with everyone else. Pick a date and tell them as of, say the beginning of July, the 7th for example, you ARE and WILL be raising your fees.If you lose one job, you will still be ahead of the game.Make a flyer and leave it at each job and take no complaints. Do these people want quality or quantity? If you make yourself sick from doing so much, what good would you do for them then? Especially the family with so many kids...just wondering, do they live in a shoe ? ? ? Ha, that was a joke, a little humor here! Take care of Nina! Charge more, you're worth it, aren't you ? ? ?? My cleaning lady charges me $20/hour. I told her she needed to bump it up a little to pay for the extra cost of gas. I do not have everything done, but being handicapped she comes once a month for 2 hours and gives the bathrooms and floors and dusting a really good once over. I've upped her to $45 for the 2 hours. Definitely for what you are doing you need to charge more. We live near Atlanta. I paid $80 for 2 hrs. of housework here in Montana, and she didn't move things even when dusting. Hi, I have been cleaning houses for the past 14 years. I agree, you are not charging enough. I average 20 - 25 dollars an hour. No wonder other people want you so bad. They can get it done much cheaper. You need to ask for more money and what if you lose them. If you clean that well then you'll get more houses. It is a good idea to check your area to see how much other cleaners charge. In our area, the price is about $10-12 an hour but where my sister lives, about 60 miles away, cleaners get twice that amount. Good luck to you. I think day care workers/babysitters and house cleaners are taken for granted. Both of these jobs are hard work. And of course, caring for children is more important than anything. I am surprised how much people will pay to have their lawn maintained but usual hesitate to pay for the care of their child/children. I like to say a BIG thank you to everyone who sent me feedback, i'm going to have to try and ask for more money, i need a rise and they know i do a bloody good job. I will put a add in the Gadsden Times and try and get new people to clean for. I live in Alabama also. I never charge by the hour. I charge a flat rate depending on the size of the house and what my duties will include. How can I start cleaning foreclosed homes and businesses? I am currently a stay at home mum going to college and would like to start a cleaning houses. What are the rates around Bordentown and do I need a license to do that? I really need help in figuring it out as I am ready to start working. I am very hard working and reliable. Just send me a mail and I will be there. I mainly clean homes. I have had a call to do an apartment complex. They want me to do the clubhouse 3 times a week and do the model homes about the same. What would I charge for that? Should I charge by the sq. ft. or the amount of time? For cleaning houses I charge $22 an hour. So what would I charge for something like that in Indiana? If it were me in your shoes, I would state $22.00 per hour for the jobs if that's what you make in your area. You're the professional, they sought you out and now it's your call. You can still negotiate the price if they think it's too steep and you want to. Or, ask for a couple dollars more and see if they're agreeable; if not, drop it to what you do make. You're in the business to make money and favors are for family. I have been trying to get my cleaning business up and off the ground, but I seem to have a little trouble with getting people to engage! I have a Facebook page and post things all the time, but no one seems to pay attention. I had a post reach over 300 people, but not one messaged me or called wanting to schedule a cosulation with me! What am I doing wrong? I named it "A Helping Hand" something I thought sounded helpful and professional. I need opinions and help. Thanks in advance!. I wanted to know if my cleaning business needs to be registered? What are the cleaning companies charging per square foot for cleaning? I replied to an ad on Craigslist and the person is saying I need to get enough supplies for 5 different houses. The homes are single family houses between 1800 sq. feet and 1916 sq. feet. They have 3 bedrooms, 2.5 baths, hardwood floors, carpet, and tile. They were built in 2006/2007. He asked me to send him the total cost for supplies, but I don't know a reasonable price for the supplies. How much would it cost to clean factories in South Africa? I am living in Uganda and am a student in my last year at university. 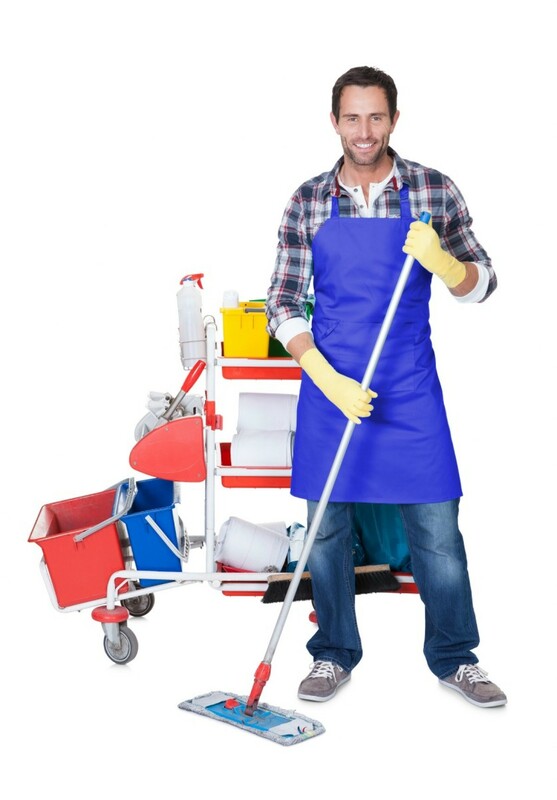 What ways can I go through to be able to start a cleaning service with minimal capital? Also how do I invite those that would support me financially? Thanks. What should I charge for cleaning at apartment complex in Jacksonville,North Carolina? I was told the number of rooms for the apartments and they accepted that price I charged, 17 cents per sq ft. Now they have asked that I clean the main offices and club house, a weight room, tanning room, and a full sized basketball court and two common restrooms the average size of a basket ball court is 94 x 50. I will have 2 workers. They want the basket ball court cleaned once a month. What should I charge? I'm going to be cleaning a whole house. It's going to be a completely empty because they're renting it out. The job includes: bathrooms, bedrooms, window sills, stove, tile/wood floors, vacuum/shampoo carpets, and maybe garage. It's an average size house possible 2 story house. 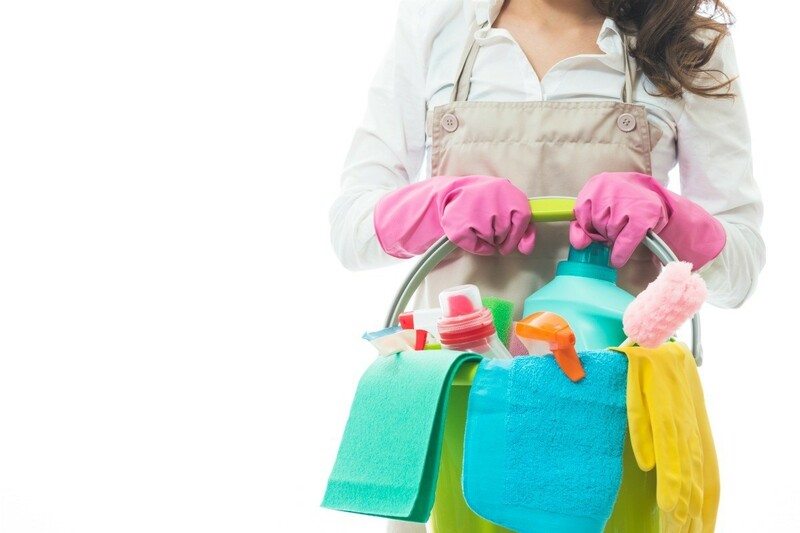 What License Do I Need to Be a House Cleaner? Depending on your local and state government, you may need more than a business license to clean houses. This is a guide about what license do i need to be a house cleaner? I have a cleaning business and would like to get new customers, but I don't have a price list. I need help in this regard. Where can I find information about a cleaning list for a new cleaning business? I know how to clean, but want to make sure I don't miss anything pertinent. Also, what do you think of the name "Clean As A Whistle Cleaning Service" for the name of my cleaning business? Thanks for your help. I am not sure what you mean by a "cleaning list". Do you mean cleaning product list, check list of things to clean and/or price list for cleaning? You would do best to start your own cleaning list. Sit down with a pad and pencil, pick a room and write down everything you would do to clean it. Then another room. Or make a list of different types of rooms and then start with the first one and everything you would do to clean it, eg. kitchen, dining room, breakfast bar, den, living room, sunroom, game room, sewing room, family room, bedroom, bathroom, sauna/whirlpool room, walk in closet, cupboard, bar, pool room, indoor swimming pool area, play room, porch, attic, basement, furnace room, and root cellar. Pick whether you will clean these rooms or not and then list what you will clean in that particular room. Once you have your room list, give each room a page of its own in a notebook and list what you will clean, how you will clean it, and what you will clean it with. You can also consider shed, garage and hot/green house cleaning. This will be invaluable when a customer asks how or what you clean with. Consider different types of cleaning: el cheapo, thorough, disinfected cleaning, and allergen cleaning. Making yourself available to clean what most cleaning places don't will make you more valuable. I'm planning to start a house cleaning business in southern California. What type of licenses/other start ups do I need and where do I do this? How much will it cost. I'm just starting slow doing a few houses per week. When starting a small business you need to go to the county office building for a license. A little FYI you need to be bonded in case you break something. I paid 30.00 for my license for jewelry making. Also go to a tax office and find out what you can deduct on your taxes: your car, mileage or general (repairs, oil changes, etc.) a room in your home that you own, where you store your business items. Car deduction is tricky you have to have a base than your mileage is counted from base to the job, for example I do catering for a restaurant not my own business. I drive 30 miles to pick up the food and deliver it with my own car. On my taxes I can only count the miles from the restaurant to the venue, so I charge my boss a delivery fee. I am looking to start a cleaning business and not sure if I should go into just cleaning offices, or cleaning out homes after people move out and before others move in. Anyone have any experience or advice on this to share? How much do you house cleaners charge and hour for dusting, changing linens, making a bed, mopping, bathroom cleaning, dishes and vacuuming, and other light housekeeping duties?